Deadpool is here, and he's ready to hang out on your fridge all day! That's where the food is, after all. 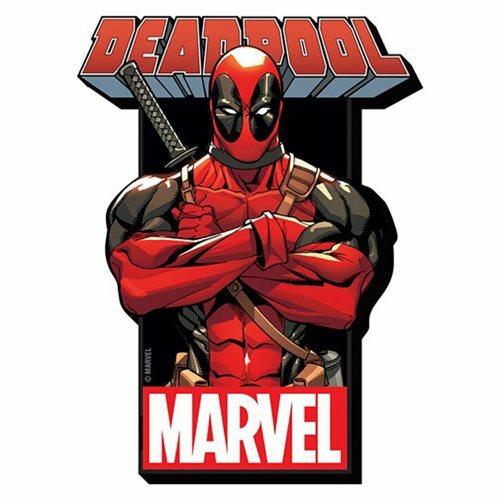 This Deadpool with Logo Funky Chunky Magnet from Marvel isn't your run-of-the-mill magnet. It's wooden, it's laser die cut, and it's chunky! Measures about 4-inches tall x 3-inches wide. Ages 13 and up.